Maps in iOS 6.0 Apple still losing favor. 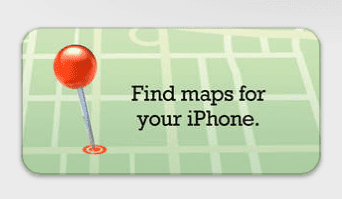 According to a study by the firm Snappli in the U.S. and UK, currently only 4% of users who updated to iOS 6.0 continue to use the Apple Maps application. This study was conducted among a group of 5,000 users. Of these 5,000 people, 65% upgraded to iOS 6.0. However, only 35% made ​​use of Apple maps in the first week of life of the new software. After the bad reviews for the work of Apple and Tim Cook's letter apologizing about it, this number dropped to 4%. All other users who participated in the study opted for other options such as Google Maps. Meanwhile, Tim Cook has confirmed that from Apple are working tirelessly to provide a quality service with the maps. More- Busting the myth of "this did not happen with Jobs"
The article only 4% of users of iOS 6 maps used Apple was originally published in News iPhone .